I spent most of 2018 in Australia, apart from a two month adventure through Eastern Europe from mid-August to early October. I visited Austria, Czech Republic, Poland, Slovakia, Hungary, Croatia, Serbia, Bosnia-Herzegovina, Montenegro, and Slovenia, six of those countries new to me, bringing the number of countries I have visited to 36. In 2010 I was sitting in a travel agent’s office, trying to work out where in Europe I wanted to travel to. At that time, Germany was the only country I had spent any time in outside of Australia. I was looking for a trip that would let me visit Neuschwanstein Castle in Bavaria, as well as Chambord and Chenonceau in the Loire Valley. My travel agent suggested that if I liked castles and historical towns, then I might like the Czech town of Český Krumlov, a fairytale town that felt like you had stepped back in to medieval times. 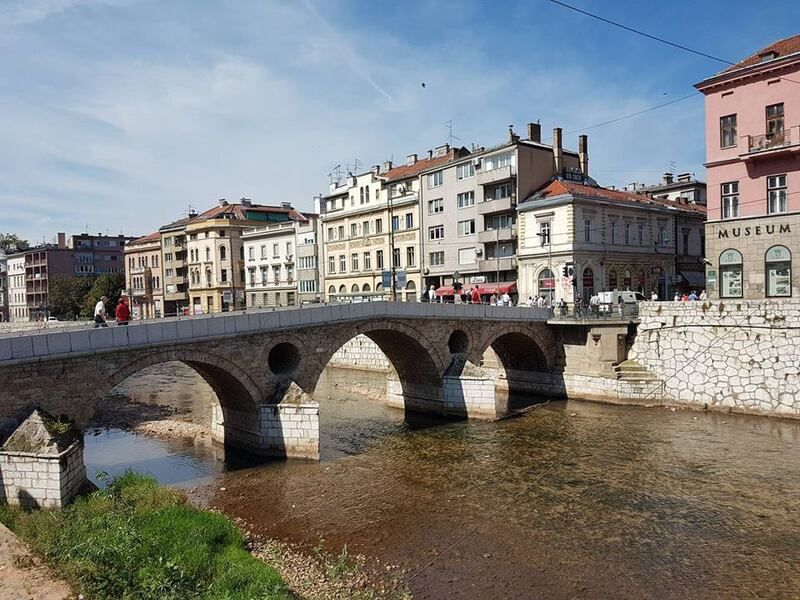 While I couldn’t fit it into that trip, I kept it on my ‘Places I’d Love To Travel To’ list, until finally I managed to add it on to my trip through Eastern Europe. 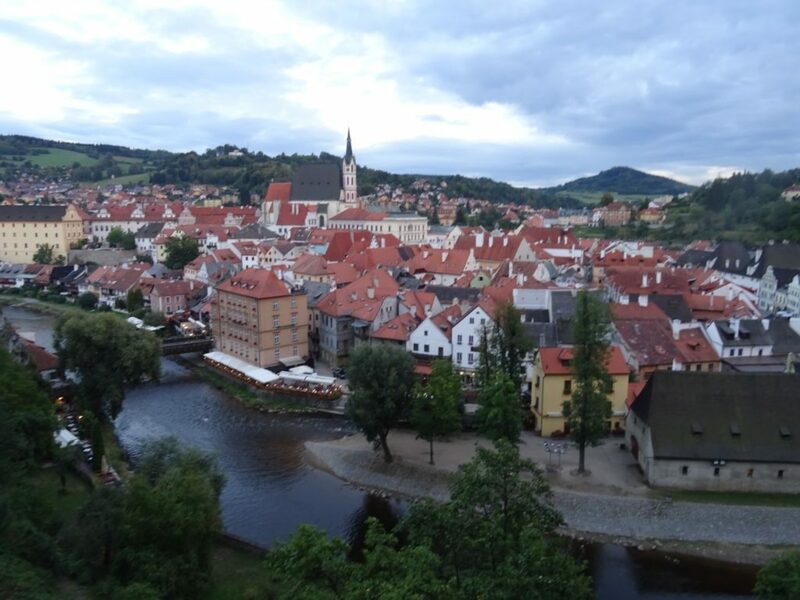 After eight years of travelling, I finally made it to Český Krumlov in August of 2018, and it did not disappoint. Our accommodation was in a six hundred year old building, with steep stairs, heavy hand-carved wooden doors, and my little attic room that looked down into cobblestone street below. Český Krumlov is the sort of place where you have to remind yourself to stop taking photos and just be. Around every corner there is something quaint to take a photo of, and if you stay in the town itself, you can wander through it in the early morning without encountering anyone else. The castle, with its tower, and the seven-hundred year old church dominate the landscape, with red roofs of buildings, restaurants and hotels sandwiched in between. If you want a break from strolling through the streets and laneways, you can watch kayakers and rafters navigate the locks as they make their way down the river, or spend a hilarious couple of hours trying to maneuver the raft to go straight rather than round and round in circles, like I did! Nothing prepared me for how spectacular the Bay of Kotor was. 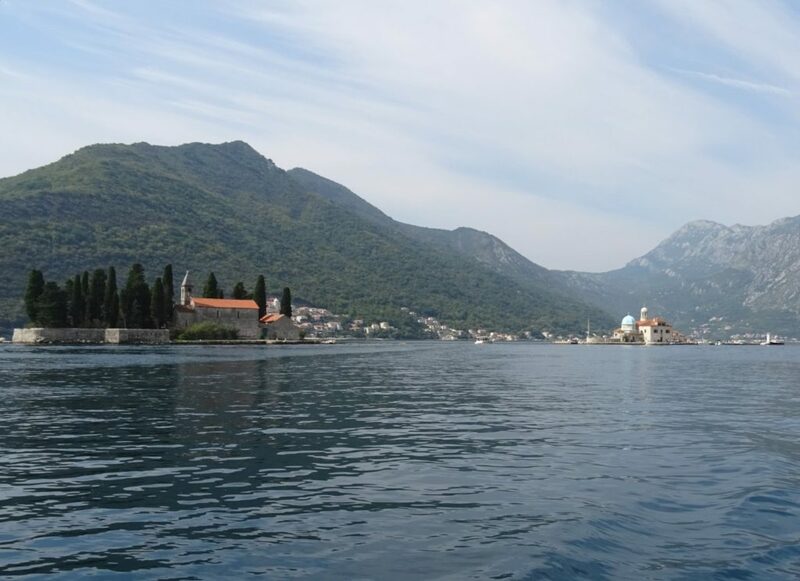 I knew little to nothing about Montenegro before we drove around the Bay of Kotor and I saw my first glimpse of the tiny islands in the bay. Kotor itself is a walled city that I loved getting lost in, but my favourite memory of Montenegro is floating off of the side of a boat in the bay. After boarding a catamaran from the dock outside of my accommodation, my guided tour first travelled down the bay near where to the cruise ships docked, and then back to where the islands were. We stopped off at the Our Lady of the Rocks church and its small multi-level museum, and then docked at the bayside town of Perast for coffee. From there, our tour guide (who was also the captain of our catamaran), took us in to the middle of the bay, stopped the boat, and said we could swim if we wanted. He didn’t have to ask us twice! The water was warm, and it felt so luxurious to float alongside the boat. Then, once you opened your eyes, you looked out at the cliffs that surrounded the bay, and at the beautiful water that lapped against the iconic islands. I could have stayed in the water for the whole day! The short version of the story is there are two towns called Brumov in the Czech Republic. We were aiming for the one by the Polish border, but due to a miscommunication with the ticket office at the train station who sold us the ticket, we ended up at the one by the Slovakian border. Although it wasn’t great at the time, and we missed out on seeing a mysterious underground city thought to be built under German rule during the second World War, by the end of the day we ended up where we needed to be. Now we look back and laugh at the situation we found ourselves in, and the 1st of September will forever be Brumov Day, a hilarious inside joke for my fellow travellers in that tour group. 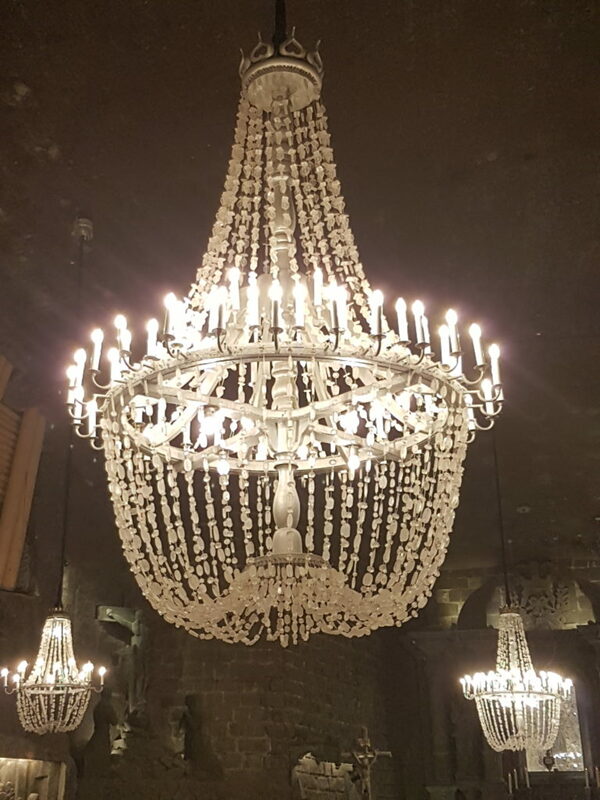 The Wieliczka Salt Mines, just outside of Krakow, have to be the classiest mines I have ever visited, and the mine tour blew all of the other mine tours I’ve ever been on away. Sure, there’s one or two stops on the tour where they show you how the miners extracted salt, but then there’s a chapel, and a spectacular ballroom, where everything from the floor to the frescoes on the wall to the decorations on the chandeliers are made completely out of salt. If you’re visiting Krakow, definitely visit these mines – the attention to detail and amount of work that must have gone into carving out all of the features in the rooms, let alone the rooms themselves, is mind-blowing. Split is my kind of place. The Old Town of Split, including our accommodation, was within the walls of Diocletian’s Palace, who was once the Emperor of Rome. While the Peristyle, the main square of the palace, can get crowded and touristy, there were so many alleyways to wander down that you could easily get lost in the winding streets. Like Kotor, it had the same feeling of having centuries of history within its walls, and I could have easily spent days exploring. On our day trip to Pag Island we came across this ruined fort, inhabited by a bunch of stray cats. Travelling to Pag Island on a day trip from Zadar, we stopped in the town of Pag. We explored the lace and salt museums, as well as the cathedral, before sitting down at a cafe and ordering ice coffees. My Croatian consisted of the words dobar dan (good day) and sladoled (ice cream), while the waiter didn’t speak any English. It turned out that he was fluent in German, and so I got to practice speaking German by ordering coffee on an island off the Croatian coast. Last night was my last night in Ljubljana. My Eastern Europe trip has been amazing, from the places I've visited to the people I've met along the way, but now it's time to pack up my things and head back home. Ljubljana was a surprise. I almost didn’t go there, being scared off by trying to work out how to get there from Bled (turns out there’s a regular public bus that will take you between Bled and Ljubljana). 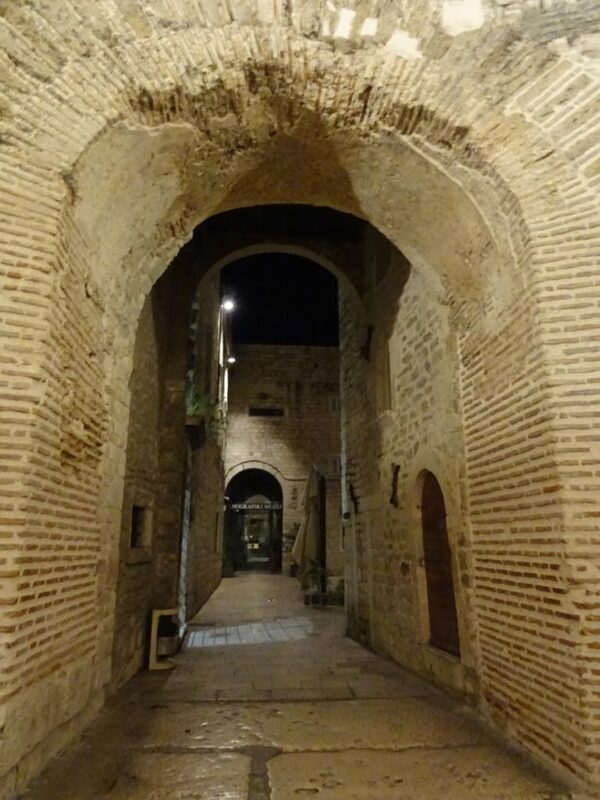 The town itself felt very comfortable and familiar, as if I could live there. The old town was compact but beautiful, the people I met were friendly and welcoming, and the one and a half days I spent there wasn’t enough time to cover everything that I wanted to see. I will definitely find my way back to Ljubljana. You would be hard pressed to find a better History teacher than the one I had in Years 11 and 12 at high school. He was a fantastic raconteur, and through his vivid storytelling would make what we were learning about come alive in my imagination. It still seems surreal to me that I am now visiting the places I learned about as a seventeen year old. This year, I stood in the spot in Sarajevo, where Gavrilo Princip fired the shots that assassinated Archduke Franz Ferdinand of Austria that sparked World War One, and thought back to the black and white photo of him that was in our History textbook. Being able to visit these places and see where events happened somehow helps the significance of these historical events seep in to my understanding better, and I count myself lucky that I am able to visit so many of the places I learned about all of those years ago. It’s Christmas Eve. Summer holidays have started here in Australia and after a week of damaging thunderstorms, the weather has finally caught up with us, giving us a balmy 34 degree day, causing my feet to burn as I race barefoot to the letterbox to see if my last-minute Christmas orders have arrived. I’m looking forward to Christmas Day, and have been singing along to carols all day as I’ve cleaned and cooked in preparation for our Christmas celebrations. 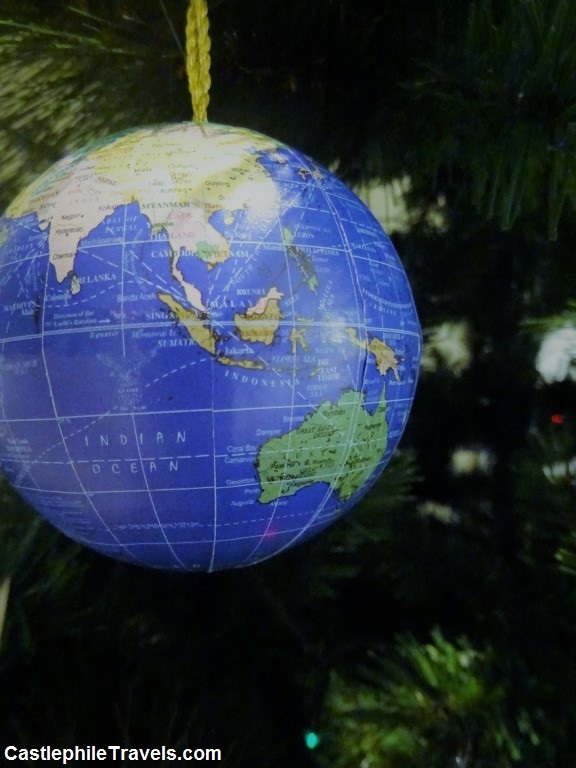 My globe Christmas decoration, bought in 2014 from an Oliver Bonas store when I was staying in London. For me, most of the fun of Christmas is in the lead-up to the day – the anticipation and planning that goes in to it. Christmastime in South Australia generally begins with the Christmas Pageant in early November, and slowly builds as light displays pop up around the neighbourhood, each council holds its own outdoor Christmas carol sing-along, and our social calendars start getting crowded with end-of-year parties. When December hits, and the end of the year is in sight, planning goes into turbo mode. Shops stay open longer for frazzled present-hunters and last-minute grocery runs, all culminating with the ultimate pay-off: an enjoyable and (mostly) relaxing Christmas Day with friends and family. Just like Christmas, anticipating and planning for trips is all part of the fun of travelling. With travel, you decide where you want to go, book your tickets, and find yourself daydreaming about strolling down streets lined with beautiful eighteenth-century buildings and stopping along the way for a drink at a local cafe. You research, asking friends, family and the Internet for suggestions on what to see and do, adding more detail to your vision with each new piece of information, until you can smell that cafe au lait and can picture standing at the bottom of the Eiffel Tower as it sparkles in its hourly light show. You feel the swirl of butterflies in your chest as you look forward to the day when you are actually standing there. There are websites that will forecast the temperature of your destination on the dates you are going, even though it’s four months away. Beach weather sounds glorious when the sky is overcast and raining outside your window. A white Christmas is a fascinating alternative to a scorching 40 degree Celsius Christmas Day. You make a list of books and movies to download to keep you busy on long-haul flights. You go and buy them. You start to plan what you will pack, and what you need to buy. Buying off-season clothes feels like a scavenger hunt, especially when you’ve left it to the last minute, but you’re determined to win. By the time the day comes to leave on your trip, you’ve already imagined yourself on it a thousand times (hopefully they all turned out well, and weren’t worst-case scenarios), but the best part is yet to come – you still have your whole trip ahead of you. Travelling with siblings can be awesome if you get on well with each other. Having lived with each other for such a long period of time as children, now that you’ve both grown up you know each other’s likes and dislikes, and when you each need your space. Since they care about you, they’ll be considerate of what you want from your vacation time (and vice versa). And they’ll be there to reminisce with once the holiday’s over. I’ve been on two trips with my brother over the years: a visit to Belgium, France, and the UK in 2014, and a trip to the US and Ireland in 2016. Though I initially had some concerns about how well we’d travel together before we left for our trip in 2014, it all turned out well, and we’re even throwing around some ideas about doing a road trip of Scandinavia in 2018! So you’ve decided to go travelling with your family. What do you need to do to get organised? Perhaps the most obvious place to start would be deciding where you’d like to go. This could take some time, especially if you’ve both got long bucket lists of dream destinations. Find places you both want to go to, or work together to find some inspiration for destinations you both want to travel to. Once you’ve agreed on your destination, take the time to separately write down a list of what you would like to do and see at each place. After you’ve each compiled your lists, compare them. Some things may be the same. If so, great! Add them in to your itinerary as they are important to both of you. If there are things that are different, and it’s not something you’re remotely interested in, compromise. Maybe when they go and do that, you’ll do something else on your list that they don’t particularly want to see. So you’ve packed your bags, arrived at your destination and checked in to your accommodation. Excellent! Now how do you make sure everything runs smoothly from here? When I’m visiting a city, I love to discover it’s history, and explore the heritage buildings, whereas my brother loves to hit the shops in the hope of finding something he can’t buy back home. While I can spend part of my holiday shopping, and he can spend part of his time learning more about the history and culture of the destination we’re visiting, we get drained if we spend too much time on the thing the other person loves. Therefore, we accept that we’re interested in seeing different things, and plan out our travelling days so that we’re together for the sights we both want to see, but also allow for time to split up and fulfill our own wish lists. Doing this also stops us from getting tired of being around each other 24/7. Compromise is important when you’re travelling with other people. If you chose the restaurant you all ate at last night, perhaps tonight it’s the other person’s choice. Though you may not have as much freedom to do whatever you like when you’re with someone else as you do when you’re travelling solo, letting someone else choose may lead you to discover something fantastic that you wouldn’t have chosen yourself. Nothing ruins a holiday faster than if you harbour regrets or antagonism towards the person you’re travelling with. On our recent visit to New York, my brother would stay up late and sleep in until lunch time, whereas I’d wake up in time to see the sunrise and want to start exploring. Instead of hanging around waiting for him to be ready, I went for morning walks by myself (avoiding the famous landmarks we both wanted to see), and therefore got to see Lincoln Centre, spend time in Greenwich Village, and explore the city on my own terms. If I hadn’t done this, I would have been angry at him for what I saw as wasting precious travel time. If something doesn’t go the way you wanted it to, either accept it or find a way to work around it. Don’t let your attitude ruin your holiday. 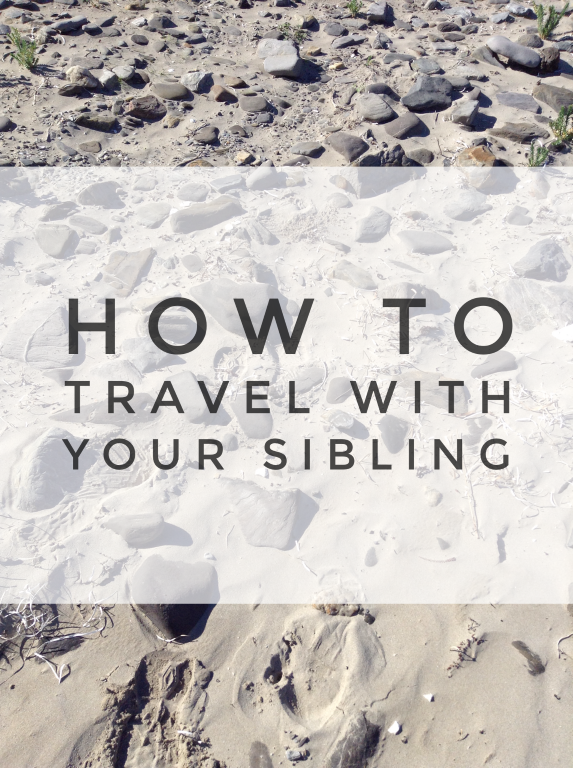 Hopefully these tips help get you in the right frame of mind when you’re travelling with your brother/s or sister/s! If you have any other tips you would like to share, feel free to write them in the comment section below. And just before you go: today is my brother’s birthday! He has his own YouTube channel and vlogged our trip to the US and Ireland (blog posts to come soon!) last year. Check the vlogs out below for some travel inspiration! I’m currently obsessed with Outlander, the TV show based on Diana Gabaldon’s series of books of the same name. And when I say obssessed, I mean in the past three weeks I’ve watched both Seasons 1 and 2, and instead of enduring the wait for Season 3 of the TV series, have begun reading the third Outlander novel: Voyager. After watching Neil Oliver’s documentary series A History of Scotland in 2013, I decided that I wanted to go to Scotland, but when I was there, I felt I didn’t quite understand how what I had seen on TV all fit together with what I was seeing on my travels. I loved Scotland: the beautiful Highlands with its lochs and castles, the dramatic islands of Orkney, Harris/Lewis and Skye. 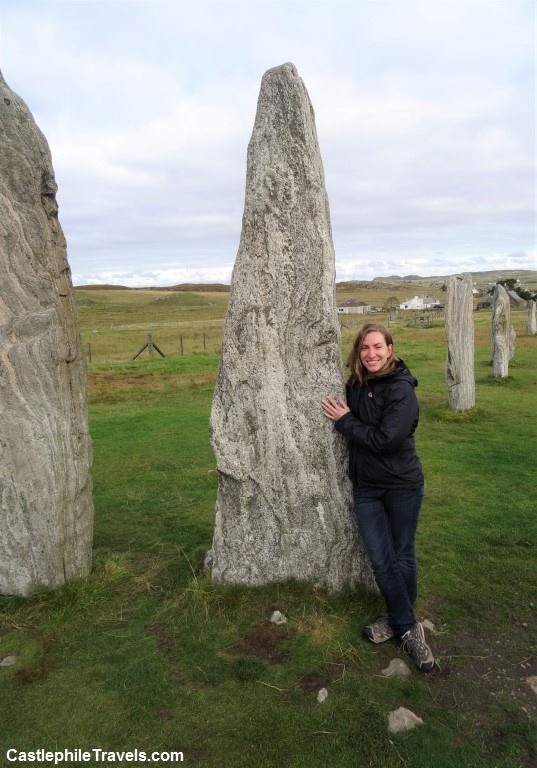 The stone circles intrigued me, and my Scottish tour guide had a thing for encouraging us to hug the stones – a habit I’ve adopted as I’ve visited more standing stones throughout Scotland, England, Wales and Ireland (though I’ve yet to fall through them and find myself in another time like the character of Claire does in Outlander!). 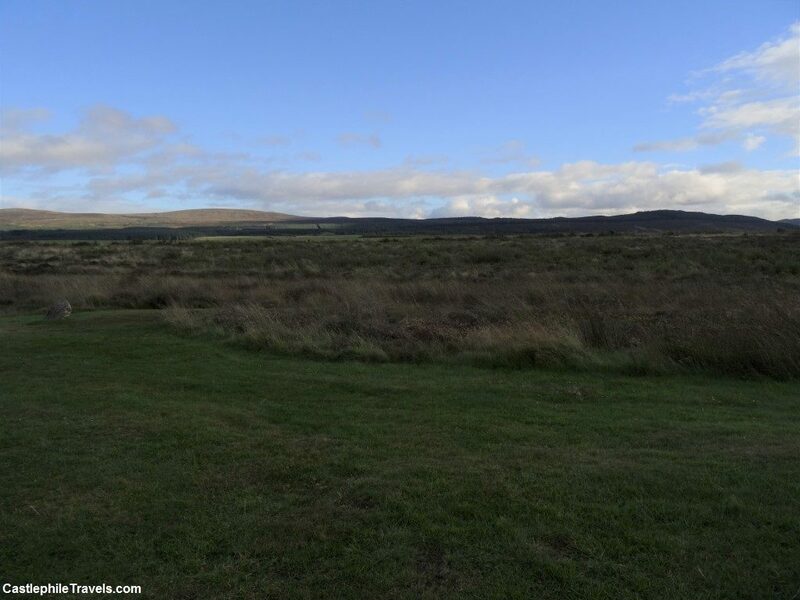 I felt deep sadness standing on the battlefield of Culloden, trying to imagine the bloody battle as I stared across the empty, flat moor, and took in the memorials and outdented bricks in the wall at the visitor’s centre which shows the vast number of Jacobite supporters who died during the battlein comparison with the British army. When I was visiting Scotland, I didn’t understand enough about the history to understand how important Bonnie Prince Charlie was to the clans who supported the Jacobite cause. I left Scotland with pieces of fact, fragments of clansmen tradition, and a whisper of folktale but still not really much of an idea of how it all fit together to form part of the history of Scotland. Watching Outlander changed that. It gave me someone to relate to – someone who learned the history of Scotland as I did – through visiting the sites as a tourist – before they were plunged right into the middle of events as they unfolded. Things began to make sense and what I had seen during my travels began to jump out at me when they were touched on in the story. My heart dropped to the pit of my stomach whenever Culloden was mentioned, even when the characters were only passing by it and the day of the fateful battle was still years away in story-time. Maybe that’s part of why I like Outlander so much – we are right there with Claire figuring out how what we know of history is going to matter in the story. Seeing locations such as Doune Castle transformed into Outlander’s Castle Leoch, or the characters of Jamie and Claire wandering the streets of Prague done up as eighteenth-century Paris, brought back my own travel memories of visiting those places. 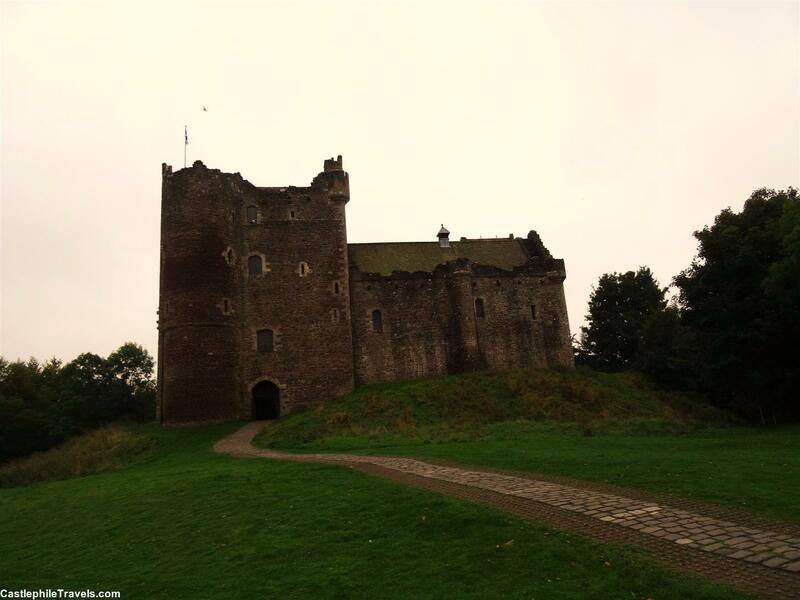 Outlander has made me want to put Scotland back at the top of my where-to-go-to-next list! Until then, I’ll have to be content with catching up on the novels while waiting for Season 3 to be filmed! Over the past few days, I’ve been reading Lessons from Madame Chic, a book about author Jennifer L Scott’s study abroad trip to Paris, and the habits and traditions upheld by her French host family which she has brought into her everyday life. Lessons from Madame Chic got me thinking about my own school exchange trip to Germany, and my own host family. The more I thought about the time I spent with them, the more nostalgic I became about the whole experience. If Jennifer could bring aspects of her host family that she liked and admired in to her life, could I do the same? Madame Chic would prepare breakfast while listening to the radio. Having the radio playing in the mornings had also been a staple in my own host family’s routine. Lately I’ve picked up the habit of having the morning news on TV playing as I get ready for work. Unfortunately, I’ve tended to watch it when I should be listening to it, which means I waste time and make myself late for work. I’ve decided to listen to the radio instead, and have been switching between the local radio station, and listening to French and German Internet radio stations, to practice my languages while getting ready in the morning. It’s been a far more relaxing start to my day! I spent December and January living with my German host family, which meant that the sun didn’t rise until 8AM and it was dark soon after 4PM. It took about forty minutes to drive from the village we lived in to the school in the nearest town. The drive there was soothing; there was something about driving in the morning darkness that has stuck with me ever since. After coming home from school and work, my German host family would all congregate and have Kaffee trinken (literally, ‘to drink coffee’) together, which was basically a daily afternoon tea where we’d have coffee and hot chocolate, as well as homemade cakes and biscuits. It was one of my favourite traditions. It was nice to come home and relax for a bit, and catch up with everyone, before the rush of the evening routine began. When I went back to visit my host family in the summer, homemade lemonade replaced the hot beverages and fresh fruit bought from a roadside seller replaced the heavier baked goods, but it was still a nice and relaxing interlude as day turned into evening. Maybe it was because they had an exchange student with them, but it seemed like every weekend we were going out and exploring the local area. I was lucky enough to see many of the castles which dotted the countryside, climb the Harz mountains (and watch my hair freeze! ), go sledding in the freshly fallen snow, and visit gorgeous Christmas markets. It reminded me of the days when Mum and Dad used to take my brother and I on Sunday drives, where we’d take off in the car for a day and stop at whatever place looked interesting. It’s a habit I should really pick up again. I don’t really do much travelling when I’m home, and I need to make it more of a priority – there’s so many interesting things to do and beautiful places to explore! I stayed with my host family over Christmas and New Year’s. Every family has their own unique Christmas traditions. For my own family, it’s putting the Christmas tree up on the first Sunday in December, having a huge get together with my extended family the week before Christmas, baking gingerbread biscuits, singing along with my family to the televised carols on Christmas Eve, and eating so much for Christmas Day lunch that we don’t eat anything for dinner! My host family had their own traditions. They made their own carol songbooks (and included some English language carols for me alongside their traditional German carols) and brought them out several times in the lead-up to Christmas. They lit Advent candles and my host parents made an Advent calendar for each of us where we received a small toy or a chocolate every day in the lead-up to Christmas. They baked Stollen and biscuits, and visited Christmas markets. They gave each other gifts on Christmas Eve, and then spent the next three days celebrating with family gatherings. My brother has also spent time over Christmas with the same host family (they’ve even hosted my parents! ), and every year since then we’ve included German carols in our repertoire. Our favourites? Kling Glöckchen, Oh es riecht gut! and the traditional Stille Nacht. I am so fortunate for having spent time with my host family – my time in Germany wouldn’t have been as wonderful without them. I must keep in mind what I enjoyed the most about spending time with them, and incorporate what I can into my daily routine, remembering to appreciate the simple pleasures in life. Where did January go?! Every year it seems that time speeds up and each month flashes by faster than the last one. 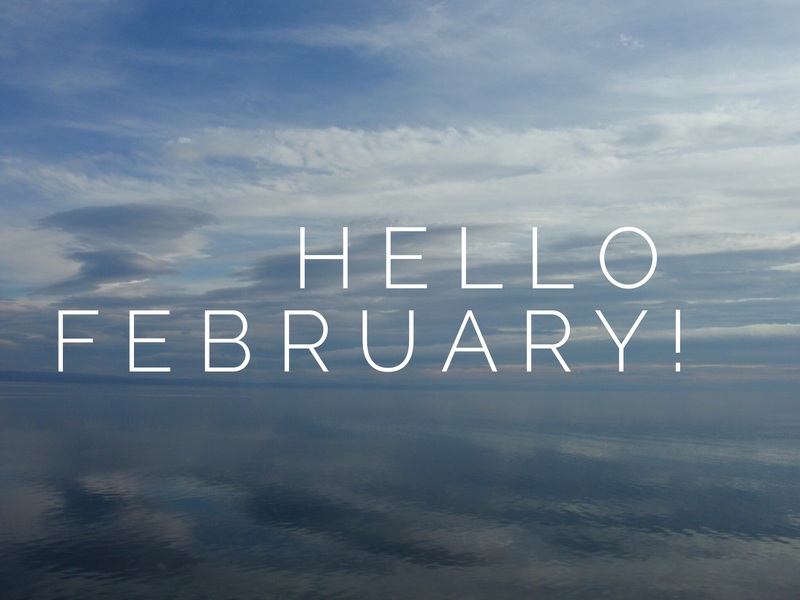 Now January has disappeared in a haze of summer holidays and February is already upon us! Time to make some plans for this month. I never do well with following up on my New Year’s resolutions in January. With the start of a new month, it’s a perfect time to reboot, and plan to fit more language learning, day trips, and relaxation into my days. This will technically be the sixth year I’ve learned French, so you’d expect me to be pretty good, right? Mais non! Having taken a break from it since last October, I can feel myself forgetting my vocab and grammar. Classes start back this month, and at the level I’m at, staying quiet and self-doubting in class is not an option anymore. If I’m going to get better, I must practice speaking. I need to drag out my French books, brush up on my vocab, and face my fears of conversing in French by attending my local French Meetup Group. If you have any suggestions to help with this, I’d love to hear them! I’ve taken a break from blogging, mainly due to the lack of faith I had in my writing style, and why people would care about what I write. Every time I’d sit down to write I would judge myself even before I had written anything. My mind would go blank and the doubts would creep in. This changes this month. I need to establish a writing routine and stick to it. If I keep showing up to write, eventually the writing will happen. I want to travel more around South Australia as well as interstate. We have so many great and interesting things to see and do here in Australia, that I want to take advantage of what my local area has to offer. It’s unseasonably cool here in Australia at the moment (last weekend was in the low twenties) – the perfect weather to get out and about exploring the Adelaide Hills and checking out the city. I’m currently planning to visit the US and go to Disneyland, which I’m really excited about, and working out how to fit in Canada and Ireland into the same trip. Scotland and Norway, get ready to meet your match! Castlephile Travels recently celebrated its first birthday. That’s an important milestone for a blog – it should be a sign of determination and commitment. However, over the past year I haven’t been a very good blogger. My blog stats say that I’ve published 56 posts since I first started this blog. Fair enough, you might say. That’s an average of almost one per week. But in reality as time goes by I’m publishing less frequently. This time last year, posts would come out at least once a week. Now, I manage one post a month. That’s not good enough. So what bad blogging habits have I picked up, and what do I need to do to improve? It’s true – it’s been a month since my latest post about movies that have inspired me to travel, a post that I’d been working on since February. Obviously I allow myself to procrastinate. A lot. It’s hard to admit, but the main reason for my procrastination comes down to fear. What I call writer’s block is just a term for covering up my fear of failure. I worry that the time I put into this blog is not worth it, that my posts aren’t interesting and that my writing is not good enough to the point where I can’t make myself write anything. Blogging regularly should be easy for me. I have hundreds of random ideas, half-drafted stories, and almost-finished blog posts stored away on my computer, however I am not ready to press ‘Publish’ on them yet. I should be sharing with you about my struggle to get to Neuschwanstein Castle, or how falling in love with the Loire Valley inspired me to learn French, or the time I went inside the magma chamber of an Icelandic volcano, but this irrational fear I have doesn’t let me. Instead, I tell myself excuses about how I can catch up on my writing later. By giving in to these fears I am doing both my blog and my writing a disservice. I need to believe in myself again. I appreciate everyone who shows their support and follows me on Facebook and on BlogLovin’. It gives me a creative boost and puts a smile on my face knowing that someone likes my work enough to want to see more of it. However, I need to improve my use of social media. If you look at the Castlephile Travels Facebook Page, you’d think it was abandoned. There’s a couple of recent posts, and some likes, but I’m definitely not posting on there as much as I would like to. While it’s okay not to be on all forms of social media at once (The idea of simultaneously running accounts on Twitter, Instagram, Trover, Snapchat and Periscope seems like it would be overwhelming for me and take up all of my time – I’ll get one social media account under control first before looking into any others! ), if you are on social media, then you should make an effort to keep it updated. So in the coming weeks I’ll be paying more attention to my Facebook account (follow Castlephile Travels on Facebook and keep me accountable!). One of my worst habits is lurking on the Internet. I read inspiring blog posts all the time but rarely comment on them. I’m in a Facebook group for travel bloggers but have never reach out to them for help. Connecting with other bloggers provides you with a support group when things go badly. They understand what blogging means to you and can commiserate with the lows and celebrate the highs with you. I need to connect with other bloggers rather than keeping myself isolated. I have been an avid reader of travel blogs since 2010, when I found all of these blogs written by women my age who had the courage to travel solo. However, now that I have my own blog I find myself comparing Castlephile Travels to their blogs. Comparing my blog to someone who has been working on theirs for five or more years is just crazy. There’s no way I should be comparing the success of my blog to theirs – I haven’t had the same time to build my following, work on my writing or figure out what I want Castlephile Travels to be. 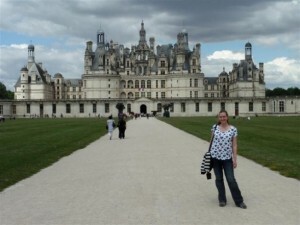 Even comparing Castlephile Travels with other blogs around the same age as it is not great – their owners have been regularly posting content, making connections, reaching out to companies and promoting their work. I need to forget about comparing my blog with other blogs. Instead, I need to focus on creating a vision for what I want it to be, and then work to align my blog with my vision. 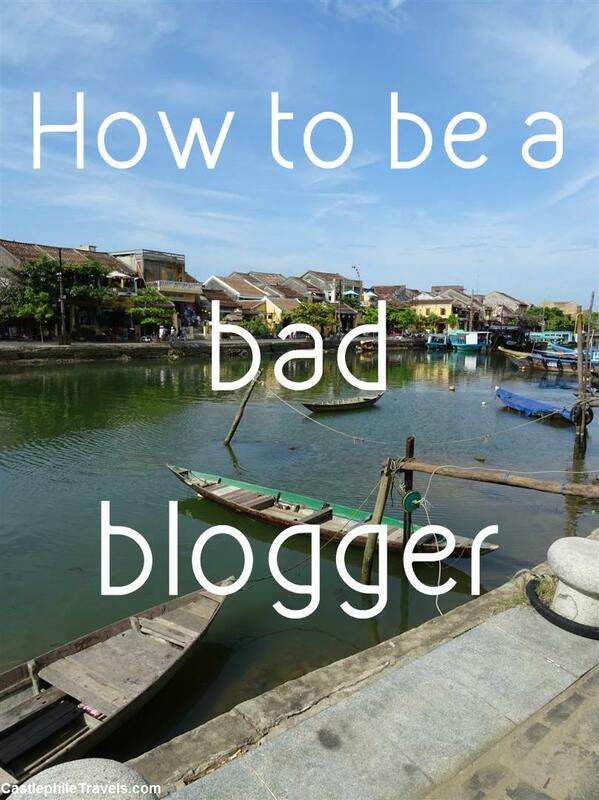 A sure sign of being a bad blogger is forgetting why you started blogging in the first place. My main reason for starting this blog? I wanted to provide a place to share information about travelling. While planning my travels over the years, I’ve had many questions for which I couldn’t find detailed answers. What was the best way of getting to Neuschwanstein Castle from Munich? Was the Paris Museum Pass really worth it? 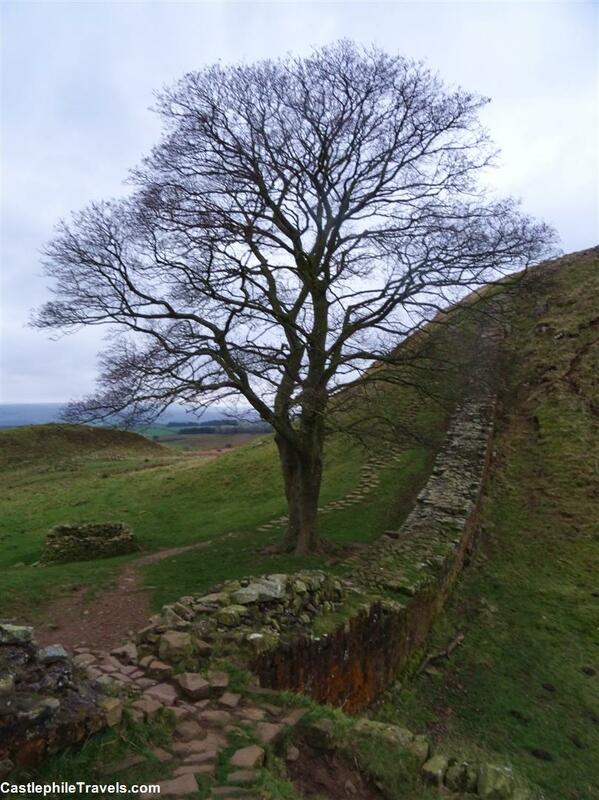 How could I get from the Steel Rigg carpark to Sycamore Gap by following Hadrian’s Wall? 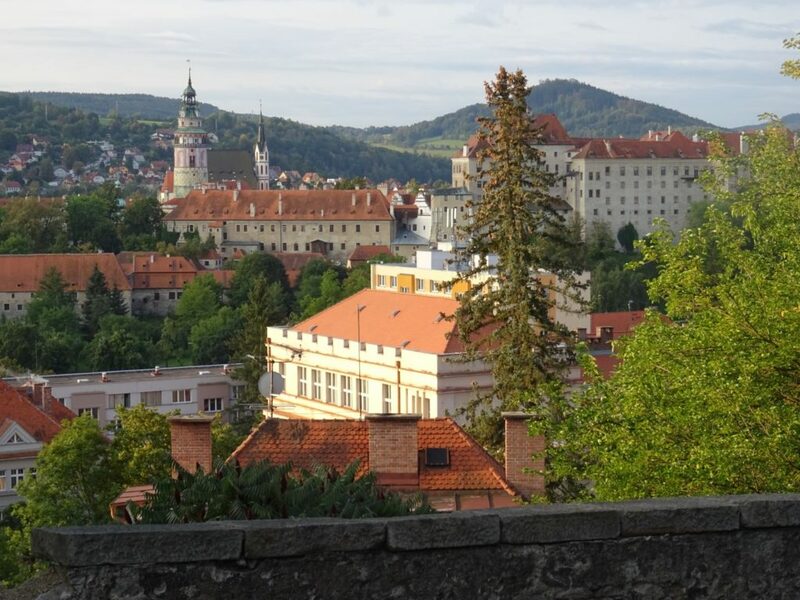 This blog is the result – my place to share my travelling stories; my love of castles, history and fairy-tales; and the information I would have found useful during my trip research. The other reason is to give me an outlet to practice my writing. I’m in a place now where I’m ready to commit myself to a consistent writing practice. I want to improve myself, my blog and my writing by letting go of my bad behaviours and fostering better blogging habits. What struggles have you had with your blog? One of my favourite ways to relax is to spend two hours escaping in to the world of a movie. I want to be where the action takes place – see the river crossing, stand in the castle courtyard, breathe in the salty air of the beach. I watch until the end of the credits to find out where I can visit the settings for myself, and my travel list quickly builds up! Once I’ve been there, I never watch the movie in the same way again. Now I know more about the scene – I remember the sound of the waterfall, how the sand gave way under my feet, the wrong turn I took on the drive to get there. More often than not, re-watching the movie makes me long to return to the destination. Here are ten films that have either inspired my travels or had me racing to my computer to watch the movie just for the chance to see how it showcased the location I’d just visited. Robin Hood: Prince of Thieves was one of my favourite movies growing up, and when Alnwick Castle and Sycamore Gap both came up as day trip options when I was visiting Edinburgh, I knew I had to book myself in. 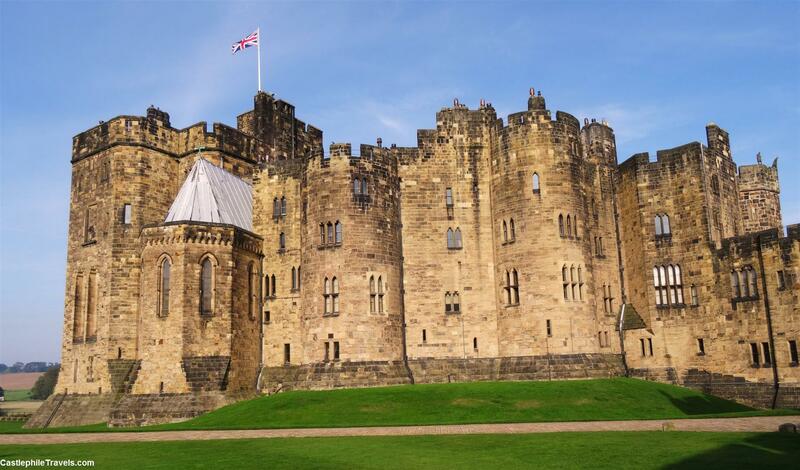 Time restrictions meant that I had to choose between one or the other, and the castlephile in me jumped at the chance to go to Alnwick Castle, which served a minor role in the film (they have a framed arrow from the movie hanging on the wall in the castle garden’s gift shop). I was back in the UK a year later with the freedom of a hire car, determined to tick more Robin Hood: Prince of Thieves film locations off of my bucket list. My next location was the tree along Hadrian’s Wall where on his way home to Nottingham from fighting in the Crusades, Robin first meets Guy of Gisborne. Despite spending hours scouring the Internet working out how to get to Sycamore Gap, when we parked at Steel Rigg Car Park and slowly edged our way along Hadrian’s Wall, the howling wind and darkening skies almost made us turn back without seeing the tree. Luckily, as I peered over the wall down into the next valley, there was Sycamore Gap! Travelling through the Lakes District from Penrith to York offered up two waterfalls from the movie. The inn that charges admission to see Hardraw Force was locked up when we visited. 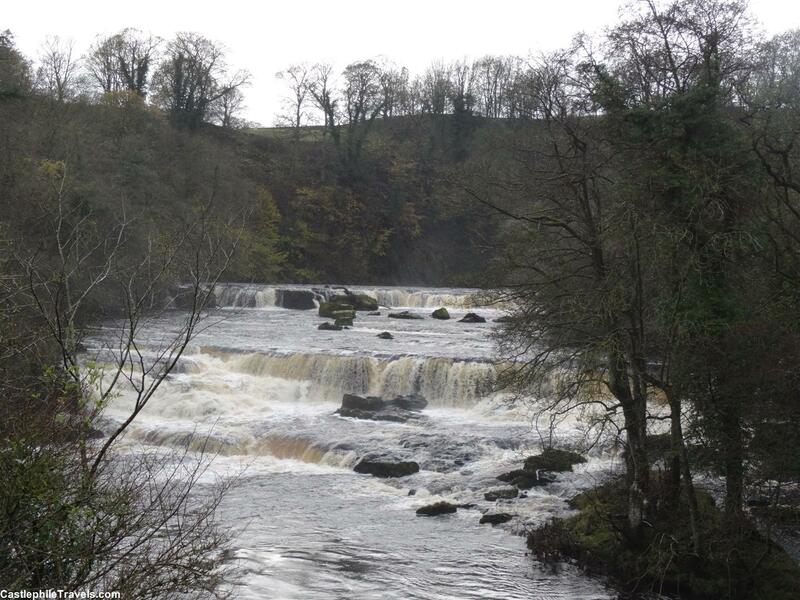 We had more success at Aysgarth Falls, where Robin and Little John’s fight was filmed, and spent an hour exploring the Upper, Lower and Middle Falls. Stardust is one of my favourite films. Adapted from the novel by Neil Gaiman, it sees Tristan Thorne setting out on a quest to bring back a fallen star to prove his love to shallow Victoria, while evading murderous princes out to gain themselves a throne, and witches seeking eternal youth by capturing the star for themselves. The countryside of Stormhold, the fantastical land in Stardust, looked so stunning that I assumed it was all CGI. 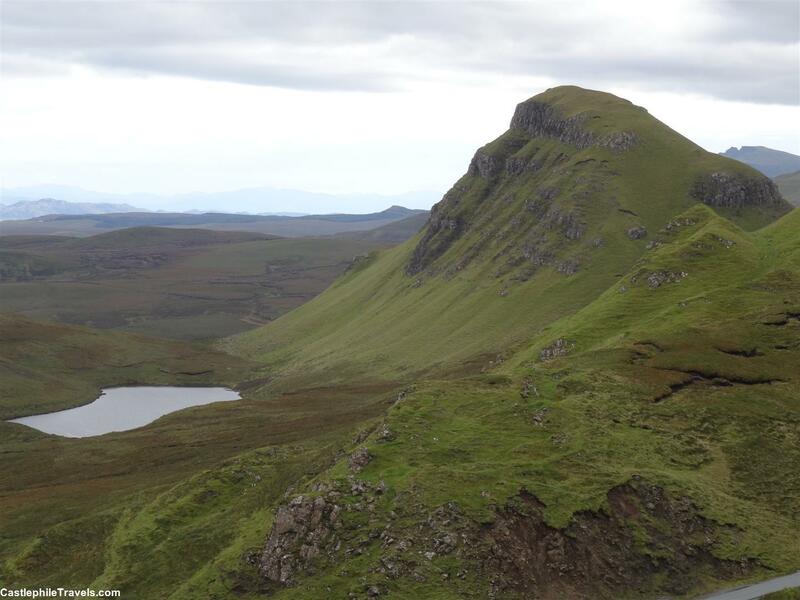 I only discovered it was real when my Scottish tour guide mentioned the Quiraing might seem familiar as Stardust had been filmed there. 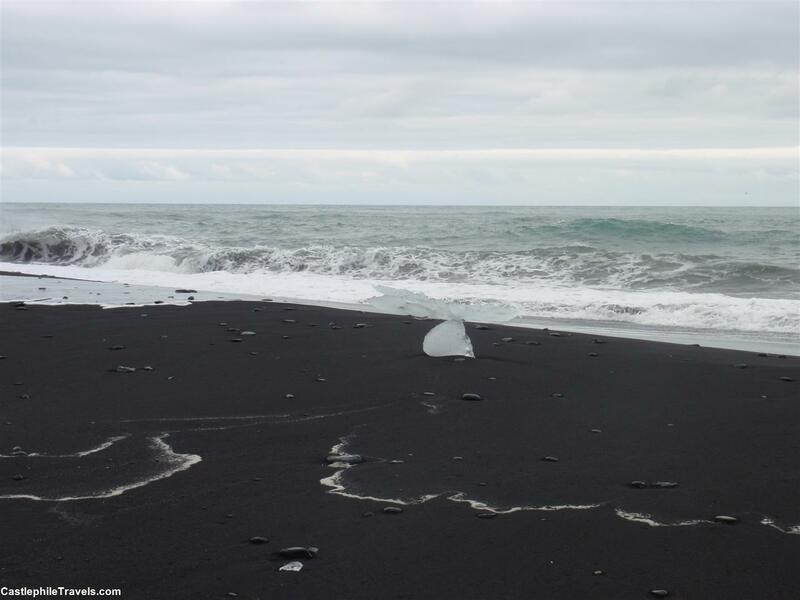 And now, re-watching the film, I can see the deep emerald green of the Scottish Highlands and the Quiraing on the Isle of Skye, and the beauty of the ice washed up along the beach at Jökulsárlón. Disney’s adaptation of The Hunchback of Notre Dame made me determined to visit the towers and their monsters for myself! The Disney version of The Hunchback of Notre-Dame introduced me to the story of Quasimodo and his life up in the belltowers of Notre-Dame de Paris. 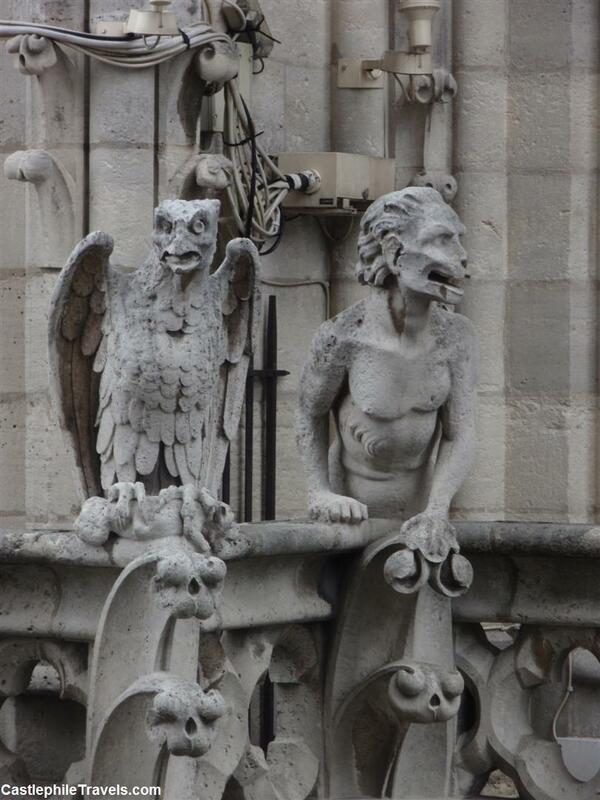 While the cathedral itself is beautiful, with its rose windows and sculpture, climbing up to the towers into Quasimodo’s world to visit the gargoyles and chimera (and to see one of the best views of Paris) was what inspired me to make visiting Notre Dame a must. 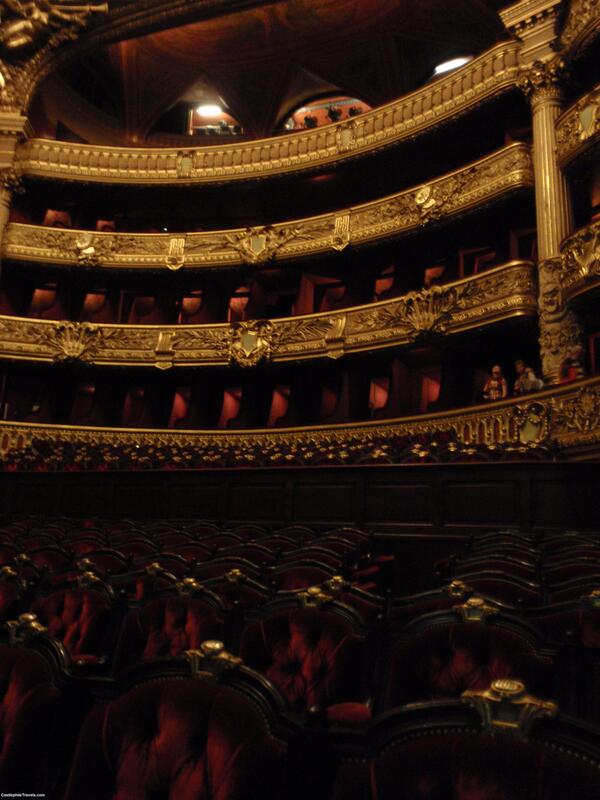 The Phantom of the Opera is rumoured to have lurked in the Palais Garnier, and even has his own box! The 2004 cinematic version of Andrew Lloyd Webber’s musical The Phantom of the Opera made me determined to visit the Palais Garnier, the Parisian Opera House that the phantom was rumoured to haunt. Although a tour of the ornate Palais Garnier doesn’t take you to the underground lake where the Phantom made his home, it does play on the popularity of The Phantom of the Opera with a plaque naming Box 5 as belonging to the Phantom. Monty Python and the Holy Grail is my favourite of all the Python films – and most of it was filmed at Doune Castle. Some friends had told me that Doune Castle in Scotland was the castle from the “French Taunters” scene, and I was so excited to be there that I skipped around in front of the castle pretending to clap coconut halves together, while imagining French guards taunting us from the top of the castle with a giant wooden rabbit lurking just out of sight in the woods. It was only after re-watching the DVD when I came home that I realised that most of the movie was filmed in and around Doune Castle! In The Secret Life of Walter Mitty, Walter spends his routine life only daydreaming about being adventurous, until one day his sense of loyalty takes him on a quest through Greenland, Iceland and the Himalayas. 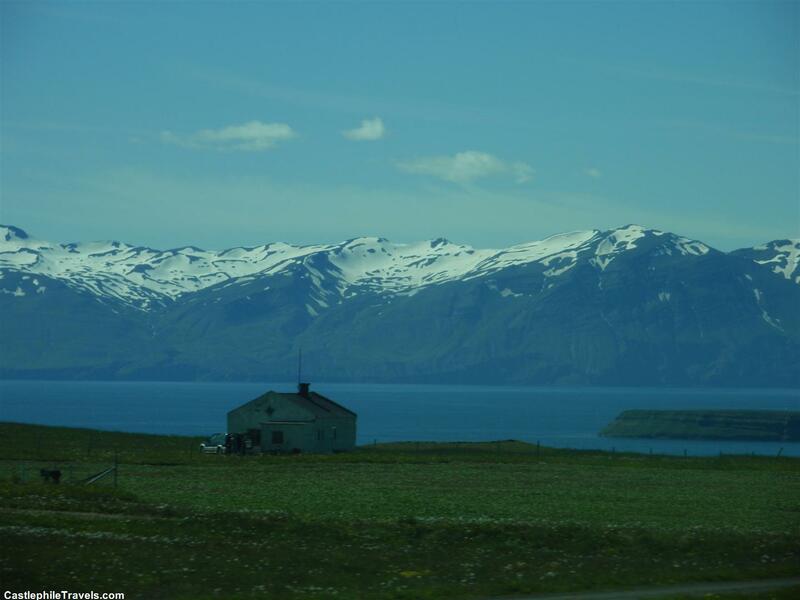 The movie shows off the stunning Icelandic scenery, and made me long to go back and spend more time in one of my favourite countries explore Iceland’s fjords, waterfalls and volcanoes! Baz Luhrmann’s movie about a disinherited writer who falls in love with a courtesan while writing a play to be staged in the Moulin Rouge was my introduction to one of the most well-known nightclubs in Montmartre. 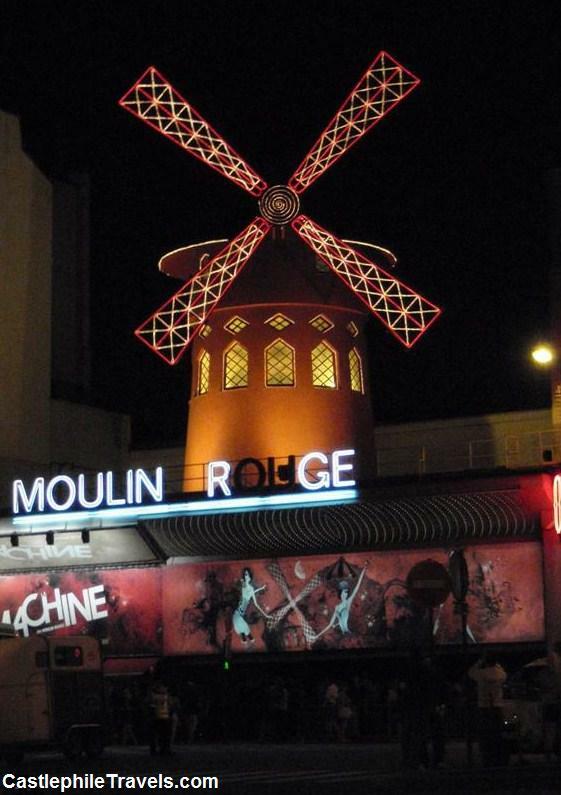 The Moulin Rouge, with the red windmill that gives it its name, looks its best all lit up at night. The Austrian town of Salzburg serves as the backdrop to much of The Sound of Music. There’s even a Sound of Music tour that will take you to many of the filming locations. 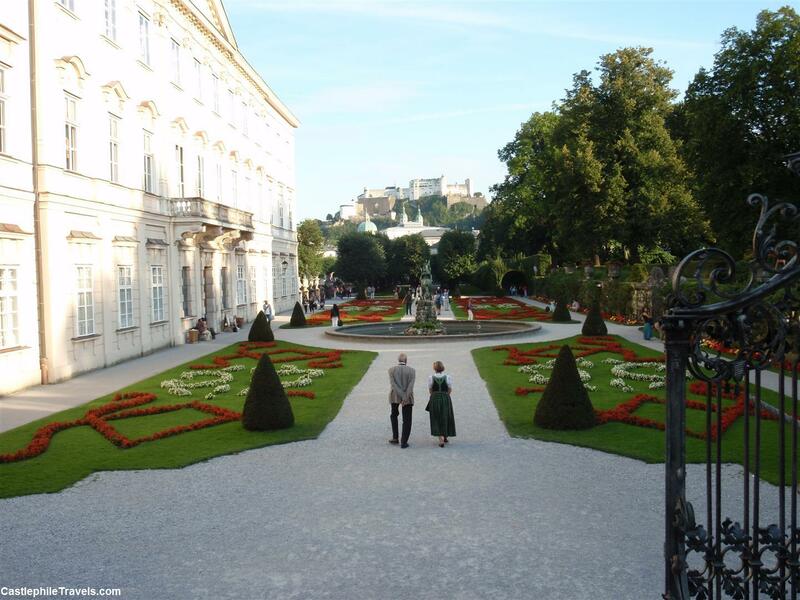 I preferred to walk around Salzburg’s Old Town, and to spend time relaxing in the Mirabell Gardens, with Do Re Mi playing in my head! In The Monuments Men, a group of museum curators and art historians are tasked with saving priceless art from being stolen and destroyed by the Nazis in World War II. In the film, one of the Monuments Men dedicates himself to defending Michaelangelo’s Madonna and Child. 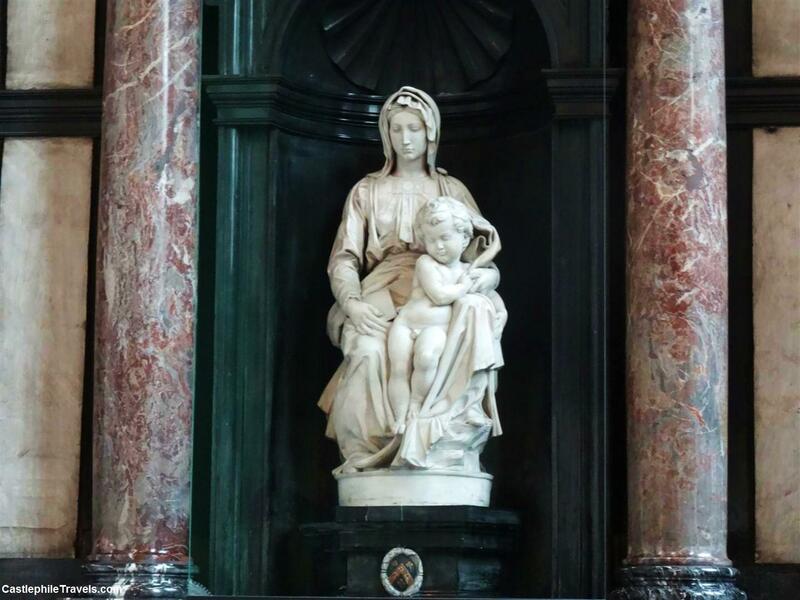 I’d never heard about the statue before, and wanting to learn more, I took the opportunity to see the master’s work at the Onze-Lieve-Vrouwekerk in Bruges. The movie brought home to me how important it is to preserve our artistic heritage. Standing in front of the Madonna and Child, I thought about how it and other masterpieces could have been lost forever if not for the men who risked their lives to ensure the safety of thousands of artworks during the second World War so that I could visit them today. Ever After, an updated take on the Cinderella story, is responsible for my love of French chateaux and interest in French Renaissance history during the reigns of Francis I and Henry II. Though I’ve yet to visit the Dordogne, where Château de Hautefort, Château de Beynac, and other locations from the movie, are located (they’re on my list! 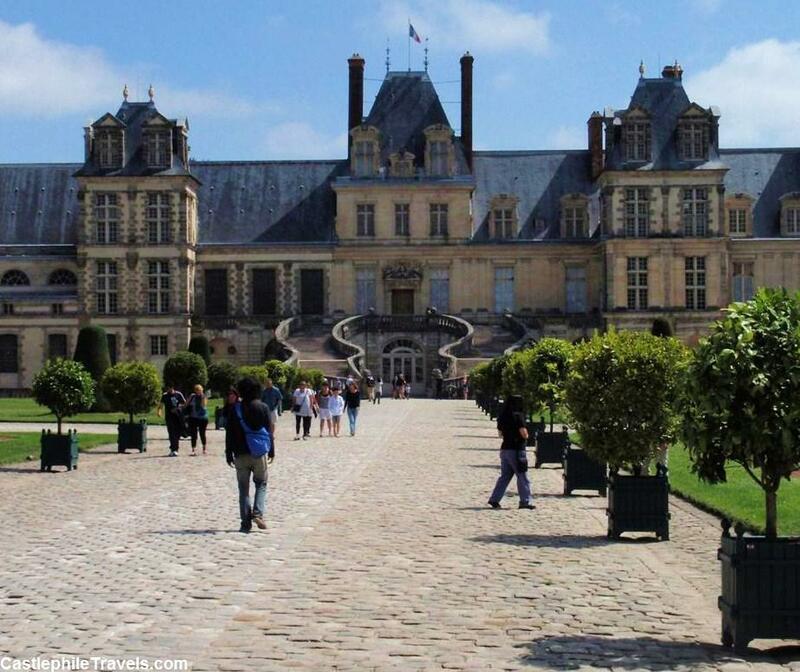 ), I have visited the real castles lived in by the historical Francis and Henry, including Château de Chambord, Château de Fontainebleau and the Louvre. Which films have inspired you to travel? Share them in the comments! 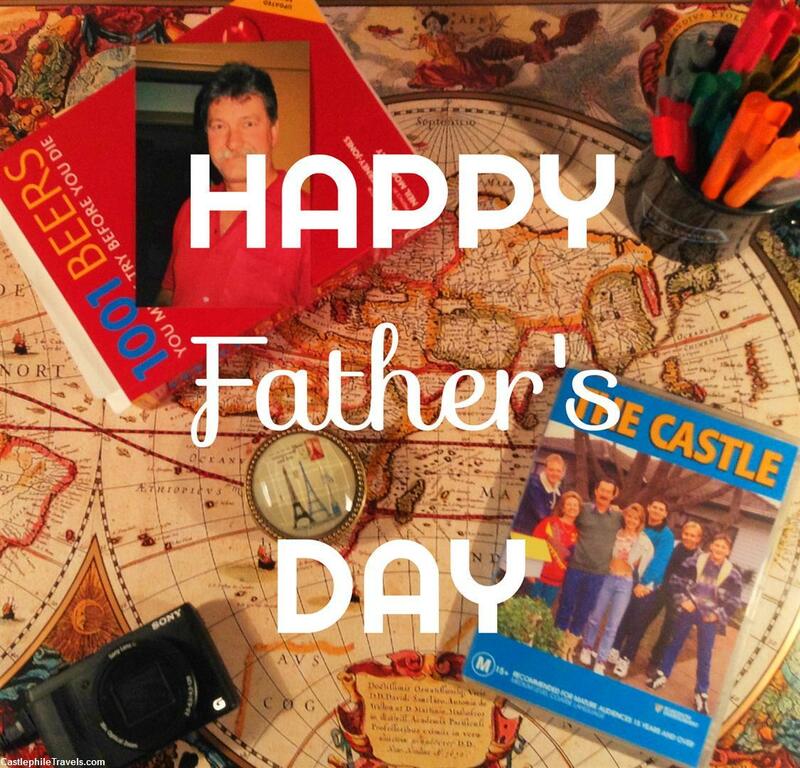 Today is Fathers’ Day in Australia and New Zealand, the day where we take time to appreciate our relationship with our fathers and what they mean to us. I caught the travel bug from my parents. While I was growing up, we spent our weekends going on drives, hiking through national parks and visiting historical landmarks. School holidays saw our family travelling around Australia, and my parents supported both my brother and I when we had the opportunity to live in Germany as part of our school’s student exchange program. My parents showed me that it was possible to take long overseas trips and still have a day job. Together they’ve travelled to every continent, and spend their free time improving their photography skills. Ever since he got online in 1997, Dad’s met and kept in touch with people from all over the world. He likes numbers and statistics and lodges my tax for me. He has an affinity for emus: when he talks to them, the emus respond (it’s a kind of a weird glounk sound). Dad loves trying new beers on his travels, quotes lines from The Castle and gets a little bit too distracted by Farm Town. He’s also an avid coin and stamp collector, which makes buying souvenirs for him really easy! Dad has always supported me in everything I’ve done. He helped me with programming logic during my IT degree and over the years he’s saved the discarded drafts of my short stories and writing projects. He’s always a Skype call away if anything goes wrong while I’m travelling. He pretends to understand when I speak to him in German. He is always the first to read any of the posts on this blog and actively promotes Castlephile Travels and my writing whenever he can. Without my Dad being the person he is, I wouldn’t be the person I am today. So thankyou for everything, Dad. Happy Father’s Day! Travelling can lead to some amazing experiences and sights that you’ll remember for the rest of your life. But sometimes the travel gods are against you, and while you might be in the right place, you are most definitely there at the wrong time. Thankfully, none of these times have been life-threatening, but after years of planning and anticipation, you can’t help but be disappointed to turn up somewhere and not be able to see the thing you came for (though it does give you a reason for a return trip!). 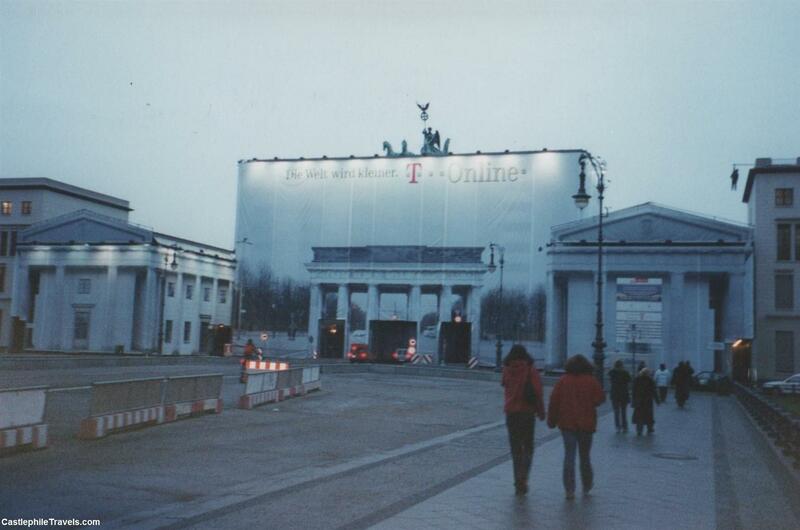 The Brandenburg Gate, undergoing restoration works in 2001. Nine years later, I made it back to Berlin and was so excited to see the actual Brandenburg Gate! 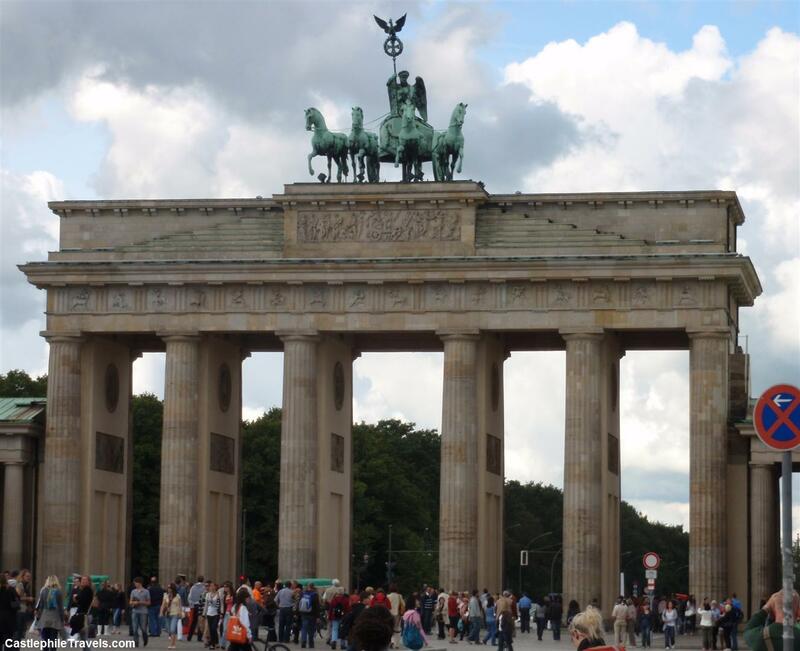 My favourite part of visiting Berlin – seeing the Brandenburg Gate! Oh, advertising. You really are everywhere. 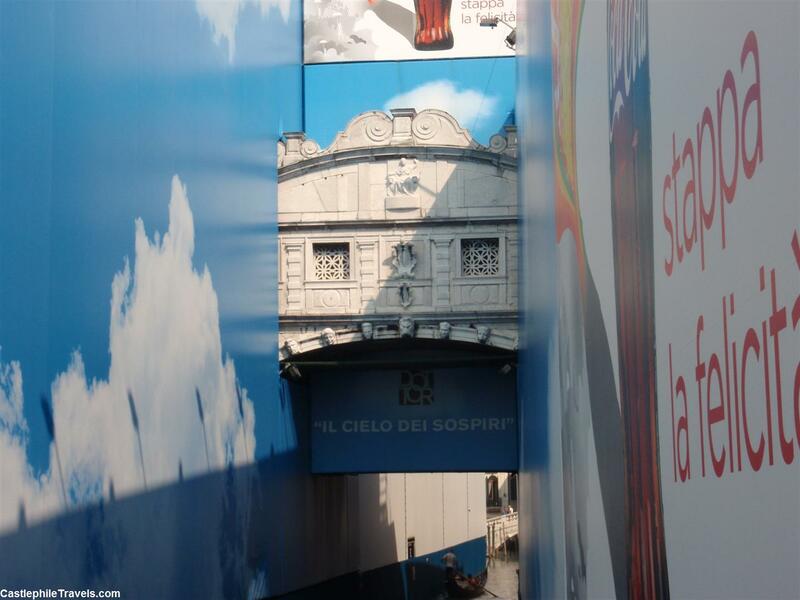 Even covering up restoration work on the second most famous bridge in Venice. What should have been an idyllic scene was almost choked by Coca Cola ads. Perhaps the biggest disappointment of all was having the Northern Lights dazzle in the sky above me while I was fast asleep! The next morning we woke up to the rest of our tour group gushing about the incredible experience they had and showing us the photos that they had taken. After that we stayed up night after night waiting to see the Northern Lights for ourselves, but the sky was too cloudy to be able to see the light show. Now it’s your turn! Have you ever been in the right place at the wrong time?